Weaver Furniture Sales, a furniture store offering Amish style furniture pieces, is hosting their annual Independence Week Sale with huge sales to celebrate the nation’s independence. Weavers will be closed on July 4th to honor those who sacrificed for America, but we will hold a big sale throughout the entire week. Weaver Furniture Sales, a Shipshewana furniture company specializing in handcrafted Amish Furniture, is meeting the warm weather crowds with a huge independence week sale. From June 28th-July 6th (closed on July 4th) Weavers is offering storewide specials including up to 50% off select close-out items, a 6-piece handcrafted oak bedroom set for $2,699 and deeply discounted in stock living room furniture. However, owner Ida Weaver notes, "Weavers will be closed on July 4th to honor those who sacrificed for America, but we will hold a big sale throughout the entire week." Last year, thousands of travelers made their way to the tiny town of Shipshewana to experience the sights, sounds and sales. With a population of fewer than 1,000, what does Shipshewana possess to attract such a crowd? Simply put, the Simple Life. Known for their incredible Amish home furniture, delectable cooking and arts-and-craft shops, the Amish have turned Northern Indiana into a destination spot. Now as the warm weather beckons, travelers are coming en masse to browse furniture storerooms, snack at delicious delis and bakeries, explore a huge flea market, and take in top-notch musical acts. 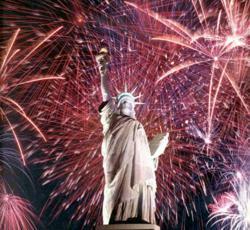 During the week of July Fourth, the large Shipshewana Flea Market will have extended Holiday hours from July 2 through Thursday, July 4, 2013. Visit Weaver Furniture Sales and explore their vast furniture showroom, including fully-customizable furniture, and discover the world of Amish craftsmanship and design. Weaver Furniture Sales was established in 1989 in Shipshewana, Indiana, and is an Amish, family-owned furniture business that offers a full line of solid wood, Amish Furniture at affordable prices – for both residential and commercial purposes. Weaver Furniture Sales features shaker styles, traditional and mission furniture. 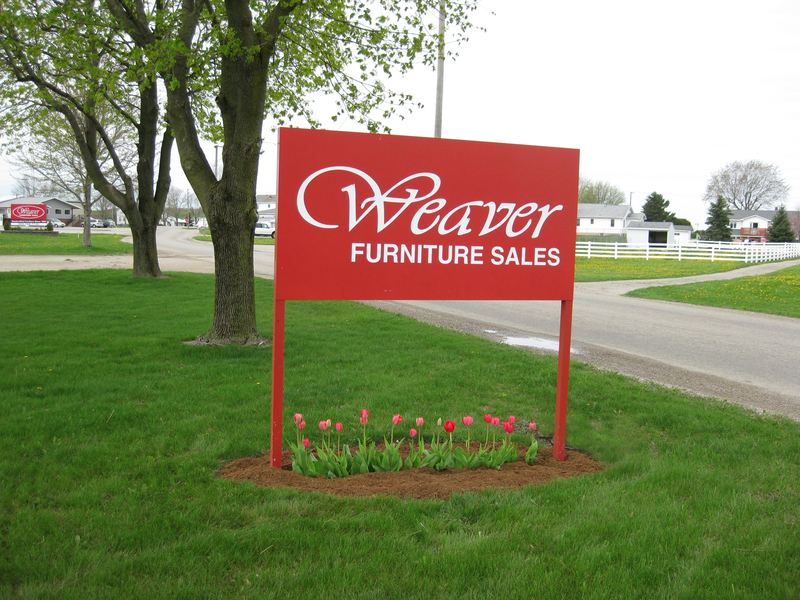 As part of their client services, Weaver Furniture Sales provides furniture design consultation services, custom furniture options, furniture quotes, layaway options and various delivery alternatives for residences and businesses in the United States from their quiet country showroom in Shipshewana, Indiana. LeRoy and Ida Weaver have owned and operated Weaver Furniture Sales for almost twenty-four years, beginning with a 1,500 square foot showroom and expanding to over 15,000 square feet today. Previously, they owned and managed LeWana Dairy Farm where they milked cows and raised corn and hay.